Luther is . . . global. We feel lucky that our students come from over 70 countries. We celebrate this diversity with events like our Ethnic Arts Festival throughout the year. On campus, Luther connects students with global issues and ideas, hosting everyone from Iranian illustrators to Latin percussionists to Chinese acrobats to European diplomats and politicians. 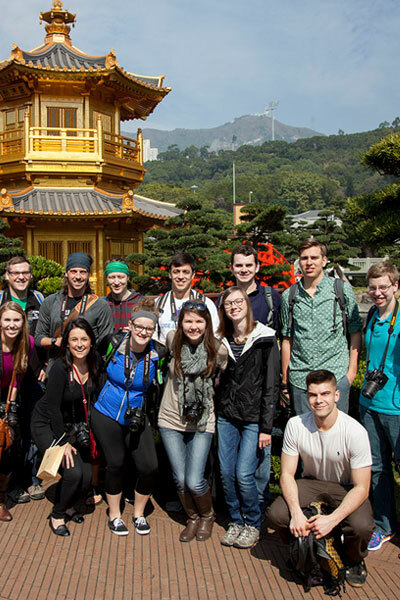 Off campus, our robust study-away program lets you learn in dozens of countries. Whether you want to study marine biology in the Bahamas, explore theatre in England, learn about traditional medicine with the Maasai in Tanzania, or practice street photography in Hong Kong—we’ve got you covered.